marks congregations history to late 1600’s. 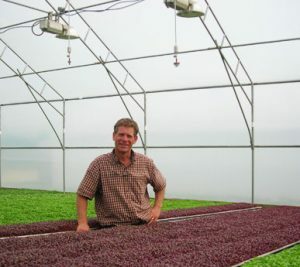 Innovative ARC Greenhouses is headquarted in Shiloh. This rural Cumberland County community was established in 1705 when several Seventh Day Baptist families purchased tracts of land in the area now known as Shiloh. Originally known as Cohansey Corners, this village was divided and became part of two townships when the New Jersey General Assembly created Cumberland County in 1748. Half was in Stow Creek and half in Hopewell. 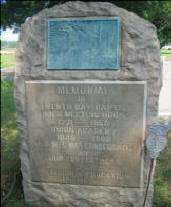 In 1837, to settle a tie on the Board of Freeholders as to whether to move the county seat from Bridgeton to Millville, a new municipality called Columbia Township was formed in Shiloh. The new Columbia Freeholder voted to keep the county seat in Bridgeton and the community of Shiloh was again split into Hopewell and Stow Creek. In 1929, finally, the Borough of Shiloh was incorporated as an independent municipality in Cumberland County, recognizing its historical boundaries and village center. Today, Shiloh is home to just over 500 people, several businesses, farms and a vineyard and winery.